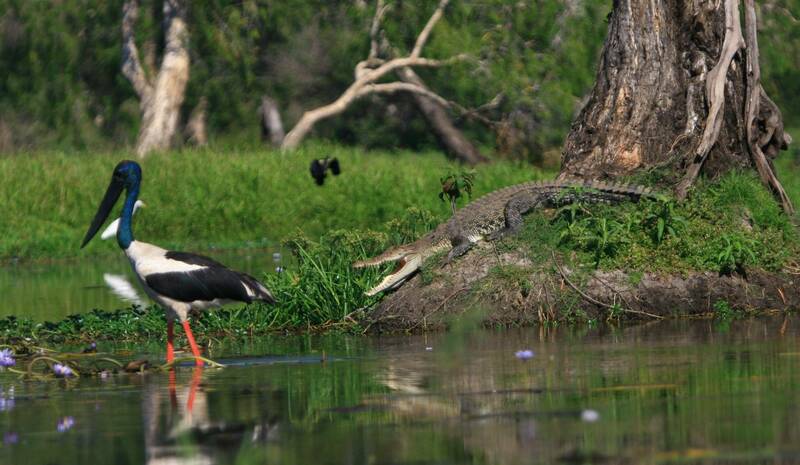 Corroboree Wetlands Cruise operates on the Mary River Wetlands which are teaming with birds and also have the largest concentration of Saltwater Crocodiles in the world. 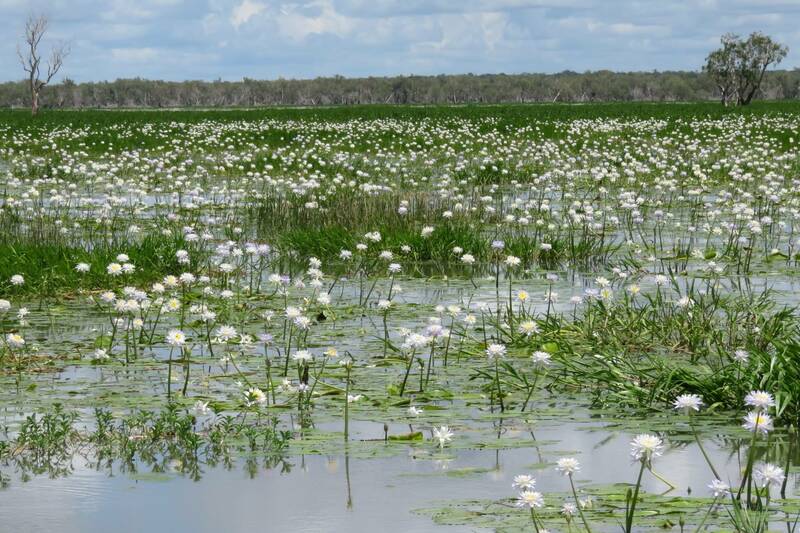 A visit to the Top End would not be complete without cruising these pristine wetlands and discovering a spectacular landscape that has not changed for thousands of years. 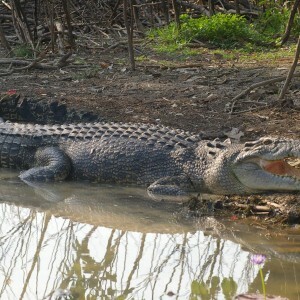 Enjoy a guided scenic cruise on the wetlands viewing an amazing variety of birds and crocodiles in their natural environment. 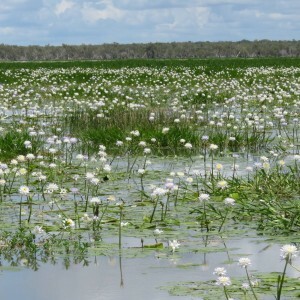 This destination is only 90 minutes drive from Darwin (104km) and on the way to Kakadu National Park. PLEASE NOTE: there is a section of the road that is unsealed and you may like book the Shuttle bus for and extra $5 per person. The bus departs Corroboree Park Tavern and you need to be there 30 minutes before cruise time. Pick-up from your accommodation at 9.00 am and return at 5.00 pm. Enjoy listening to some Top End tales as we make our way out to the beautiful Corroboree Billabong for a magnificent cruise on these pristine wetlands. 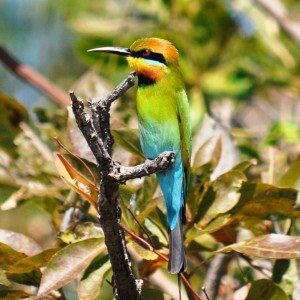 The wetlands are approximately a 90 minute drive from Darwin (105 km)and en-route to the cruise we make a stop at Window on the Wetlands or Fogg Dam Nature Reserve. 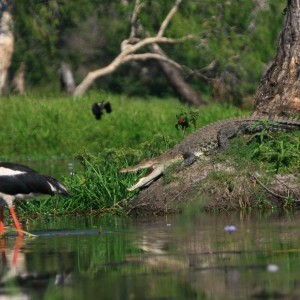 Once we reach Corroboree Billabong, we board our vessel for an amazing 2.5 hour scenic cruise viewing an abundance of birds, crocodiles and other wildlife in their natural environment. 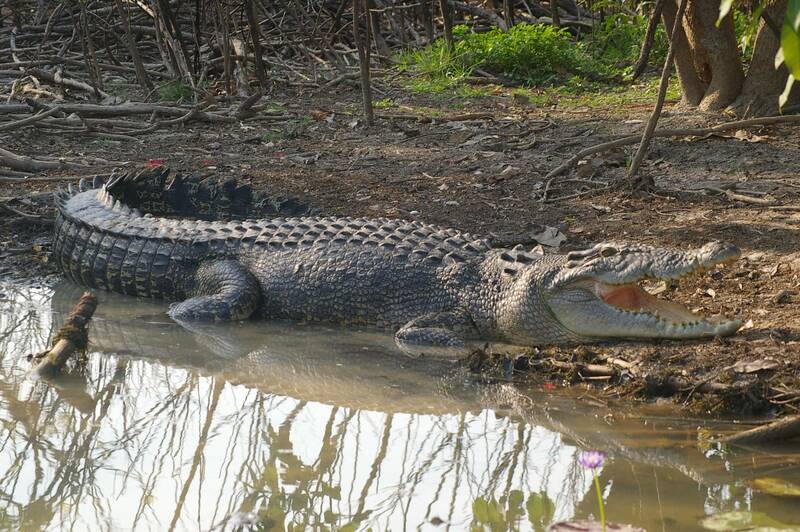 Learn interesting information about the wildlife of the region and enjoy lunch on the wetlands surrounded by nature at its best, an experience not to be missed. Your knowledgeable guide will provide commentary throughout the day, making your tour both fascinating and informative. 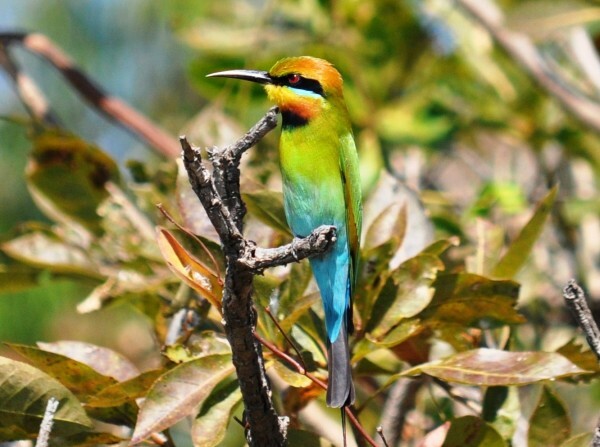 This tour includes accommodation pick up and drop off, air conditioned Coaster Bus transport (maximum 20 passengers), delicious lunch and spectacular 2.5 hour wetlands cruise. To drive directly to our cruise departure point at Corroboree Billabong takes approximately 90 minutes from Darwin or 2 hours from Jabiru. Travel along the Arnhem Highway to Corroboree Park Tavern which is located 85 km from Darwin and 167 km from Jabiru. From here it only takes 20 minutes to reach the cruise. A shuttle service to the cruise is available from Corroboree Park Tavern and is beneficial if you have a hire car that is not permitted to travel on an unsealed road or if you just do not wish to drive your vehicle on an unsealed road.The shuttle operates for all cruises and costs $5 per person return. To catch the shuttle, you need to be at Corroboree Park Tavern 30 minutes prior to the cruise time. Alternatively, if you wish to drive yourself directly to the cruise you are welcome. The turn off from the Arnhem Highway to Corroboree Billabong is on the left just 1 km past Corroboree Park Tavern (heading towards Kakadu). It is 20 km from the Arnhem Highway turnoff to the cruise at Corroboree Billabong, the last 10 km is on a well maintained gravel road. Cancellation fees are 10% charge outside 14 days, 25% charge from 14 –8 days, 50% charge from 7—4 days and 100% charge within 72 hours of departure.